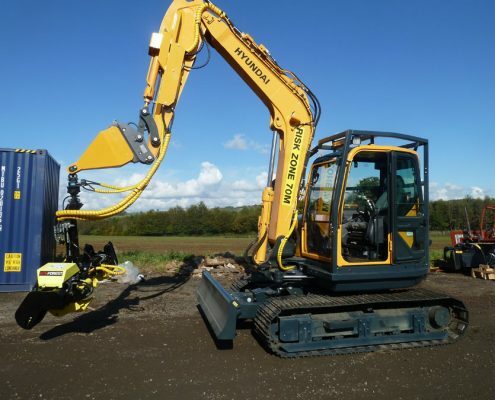 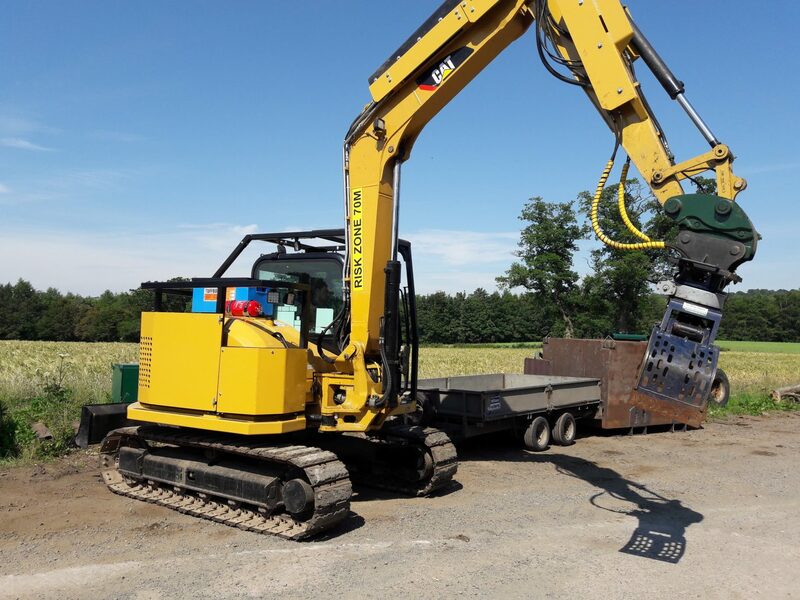 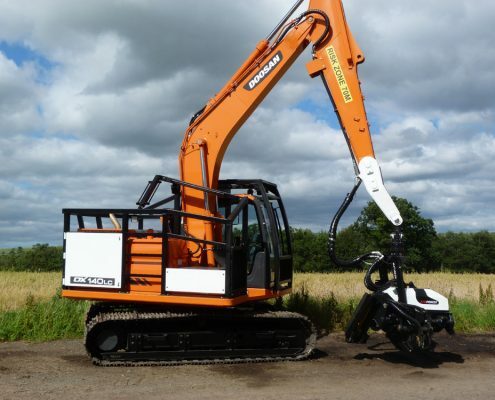 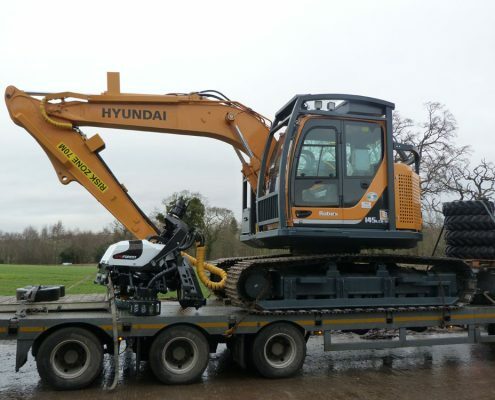 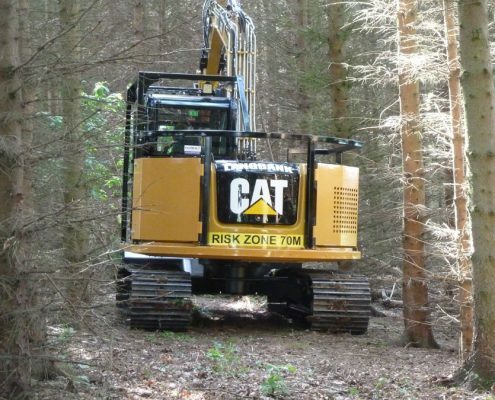 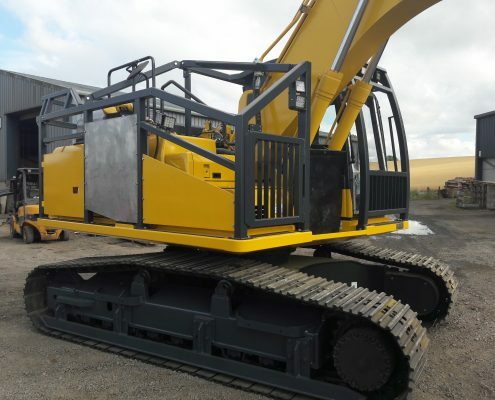 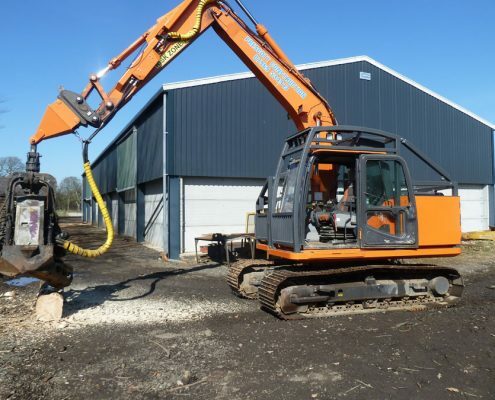 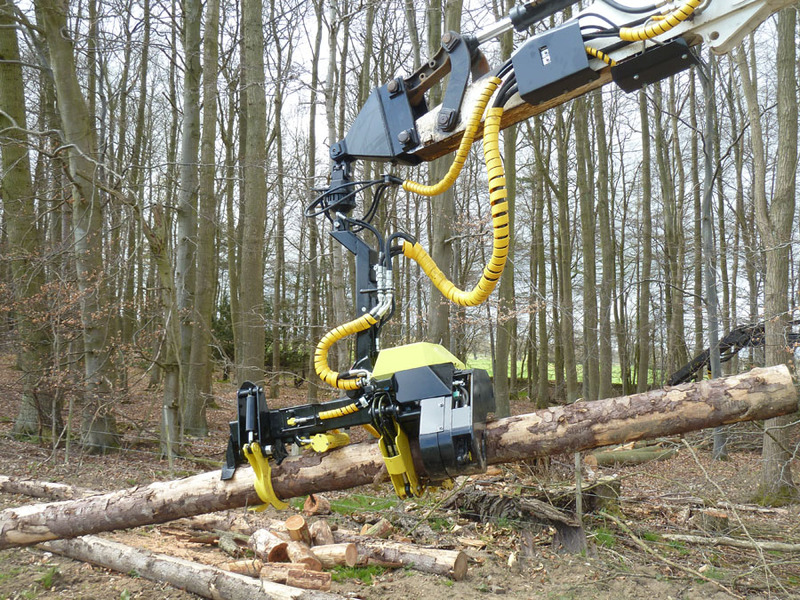 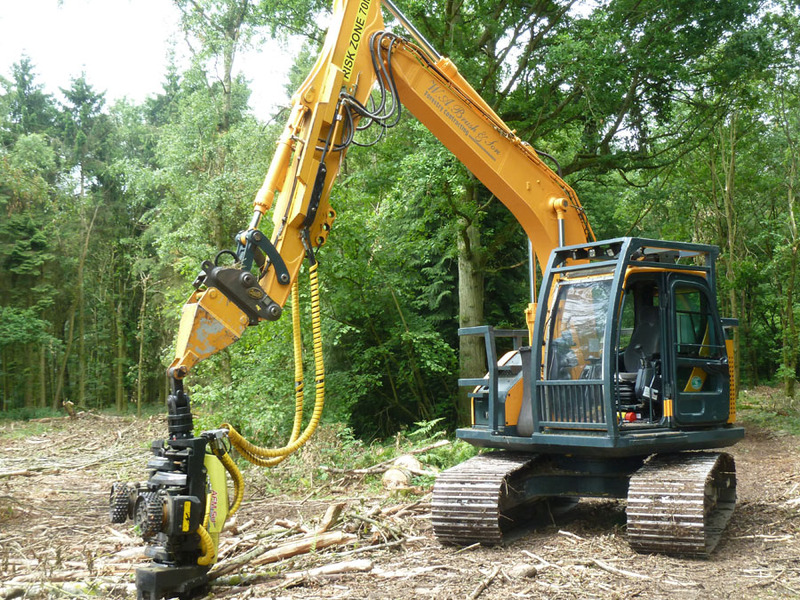 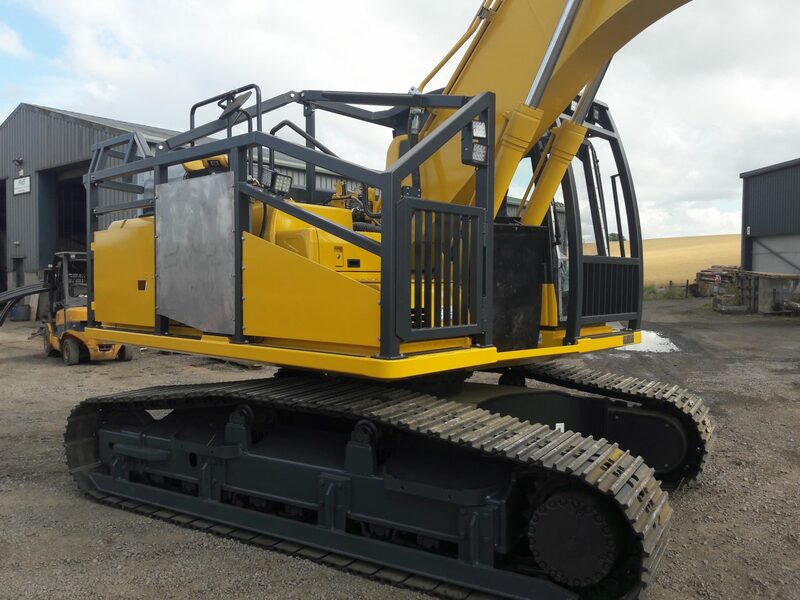 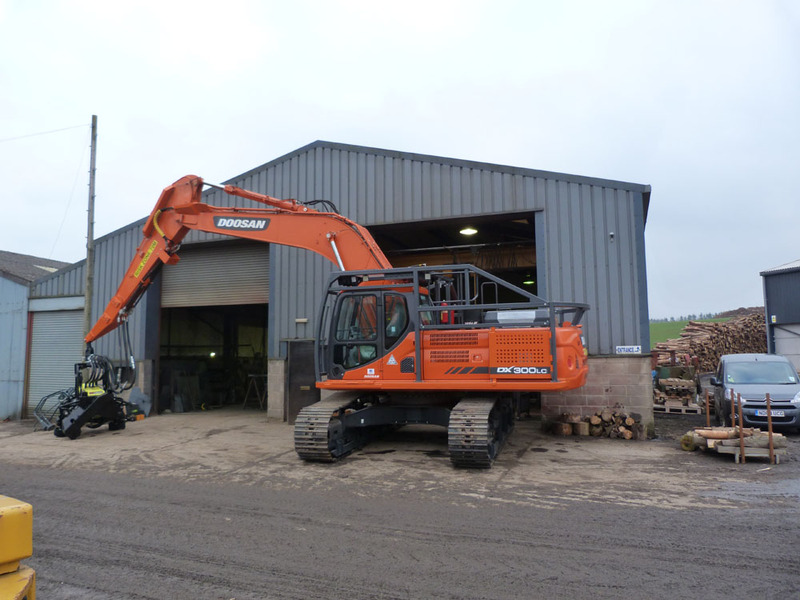 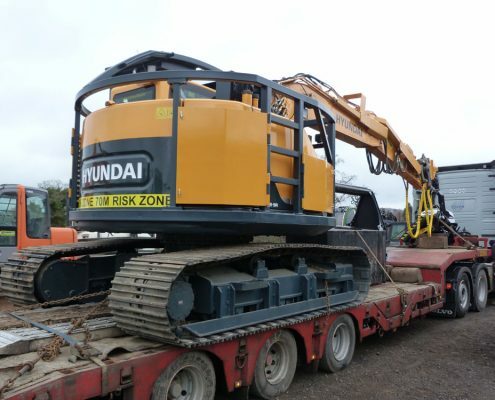 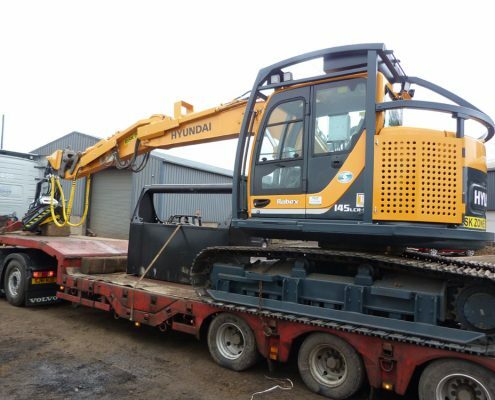 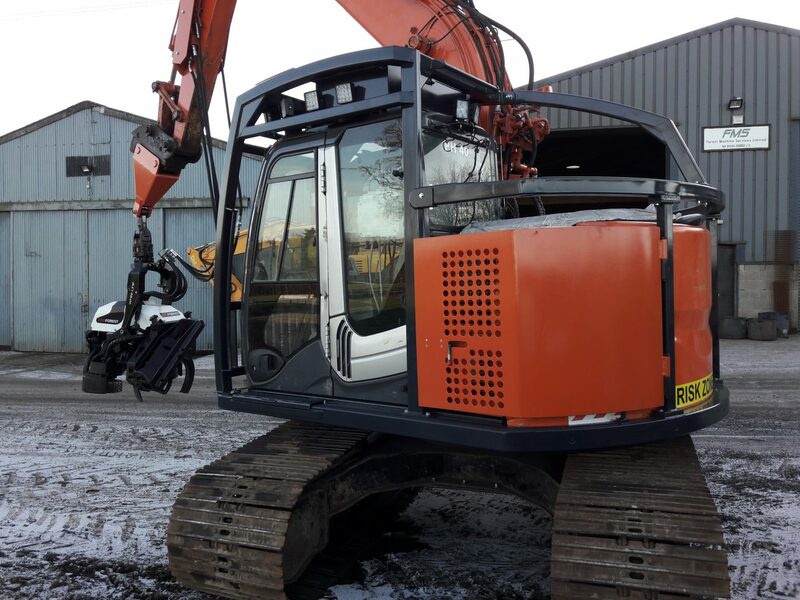 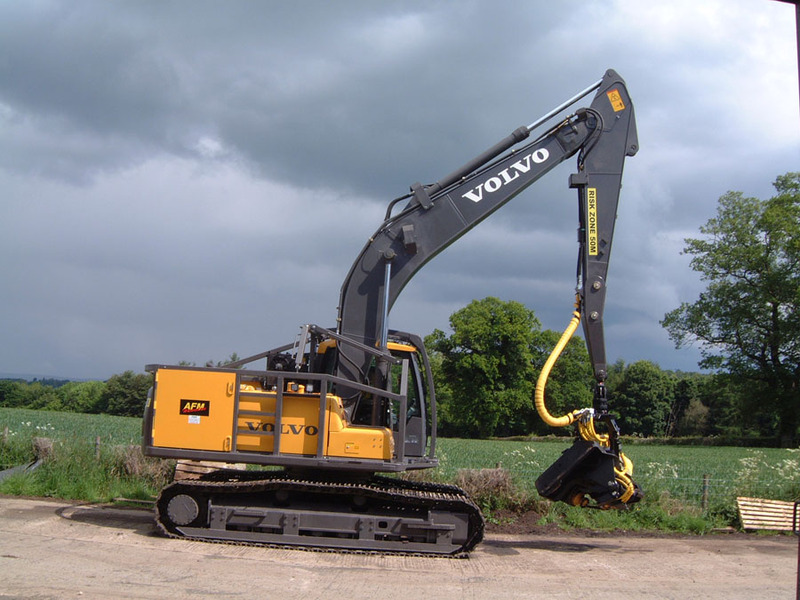 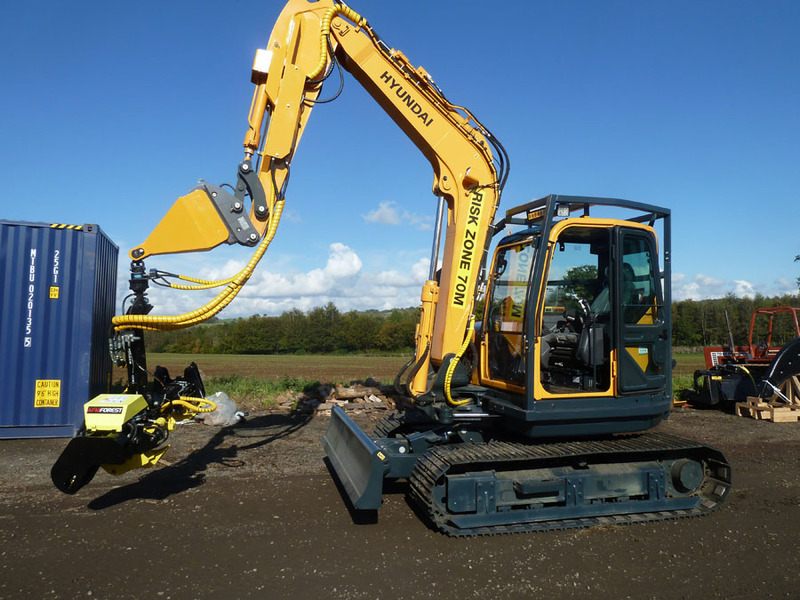 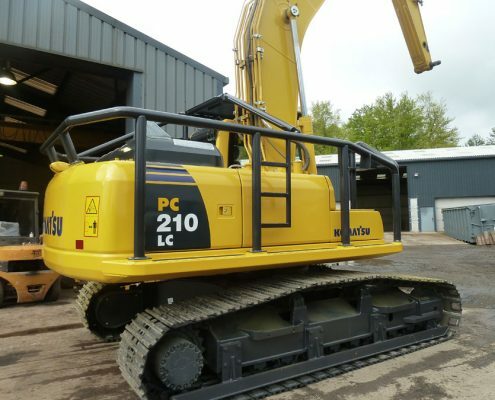 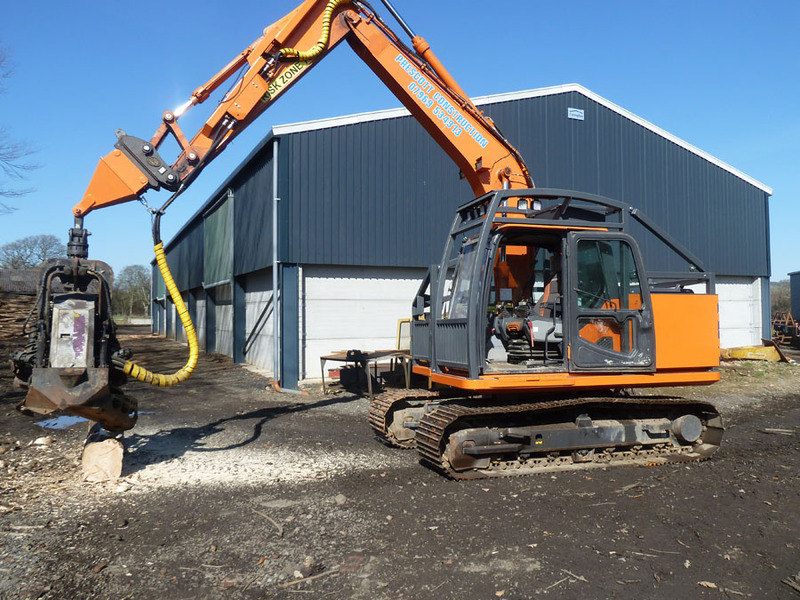 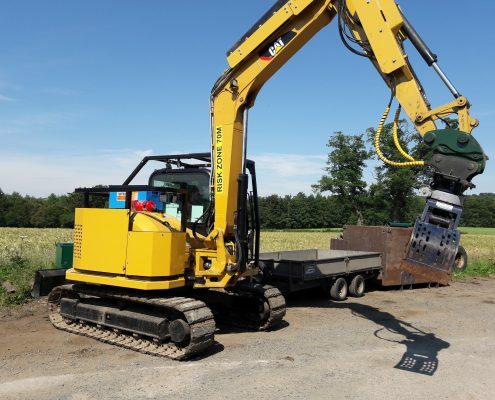 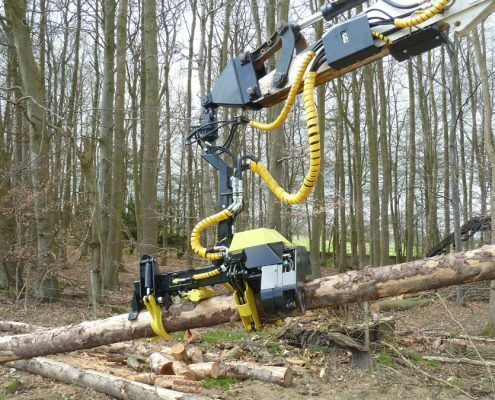 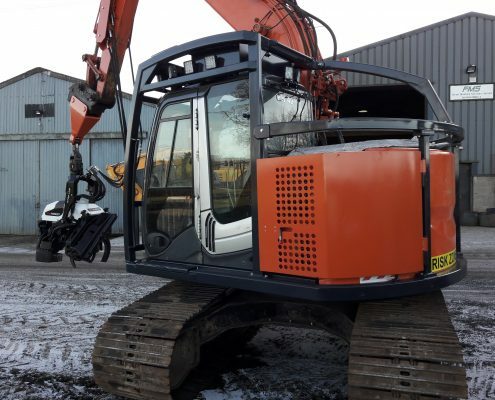 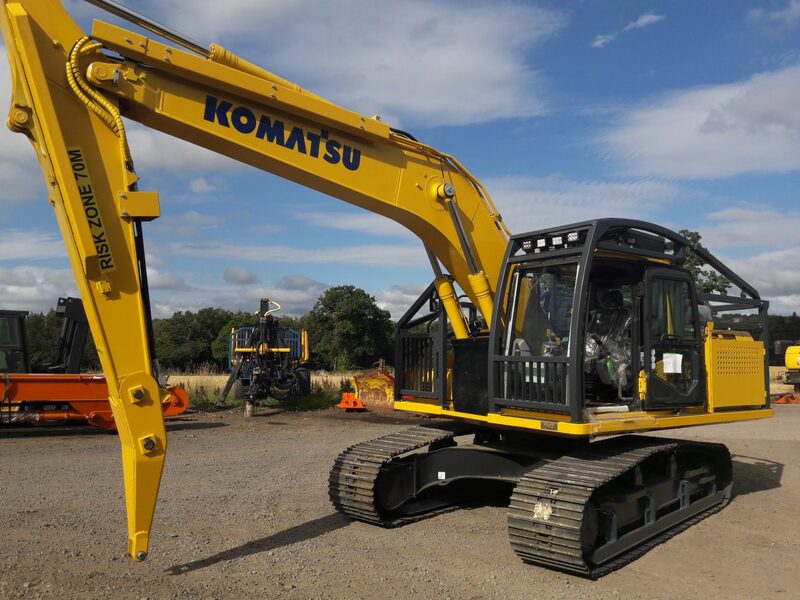 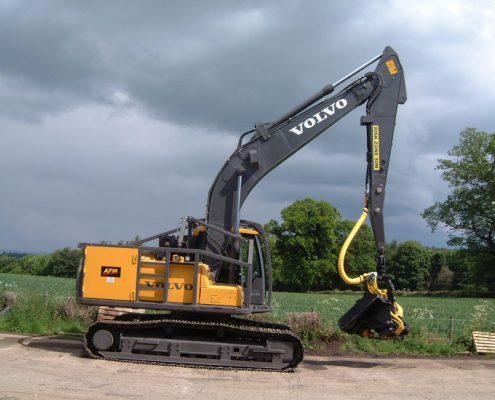 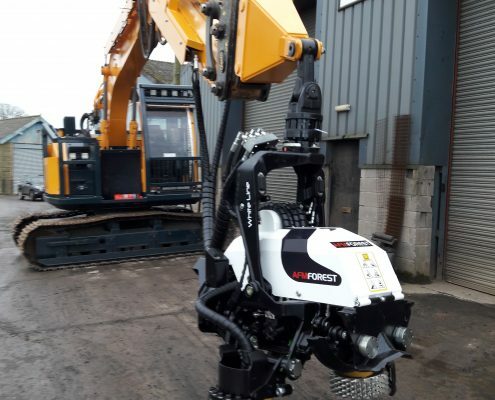 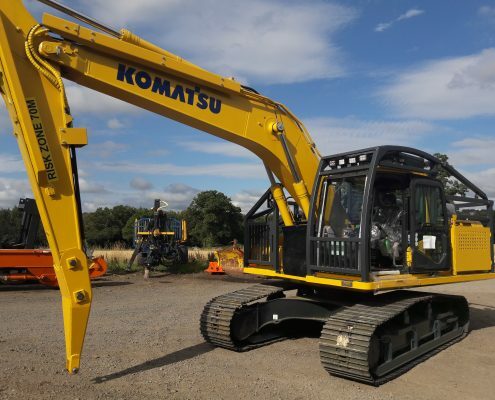 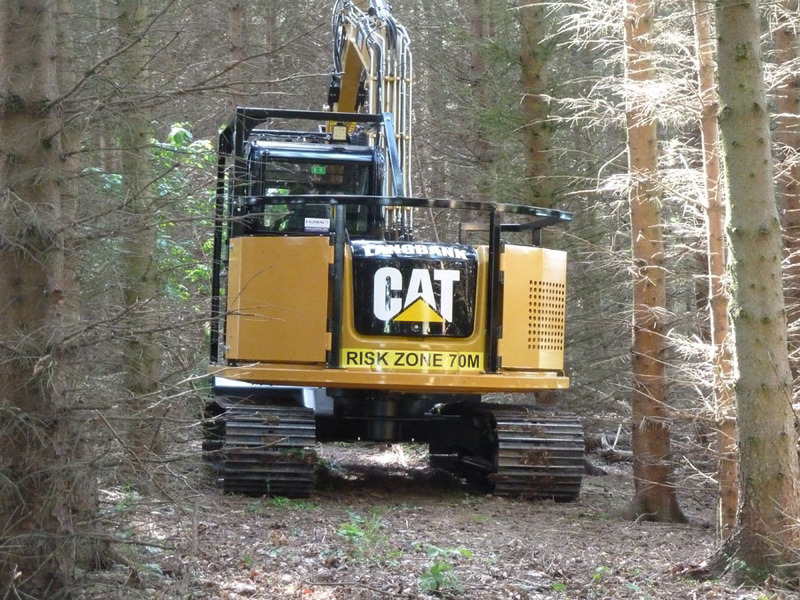 For many Years Forest Machine Services Ltd have been building excavator based harvesters for the timber Industry, we pride ourselves in producing a top quality product which is built to last in a difficult environment. 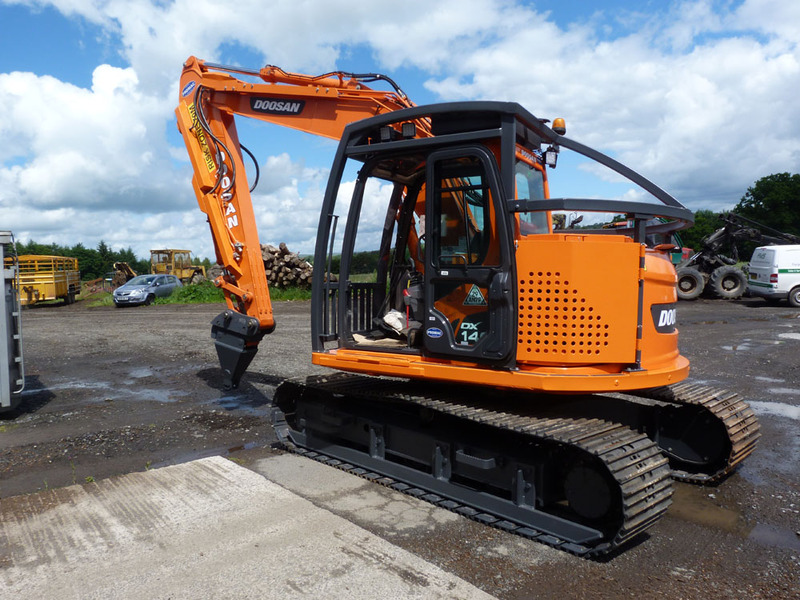 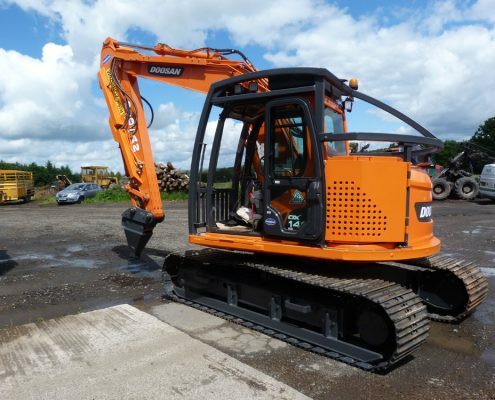 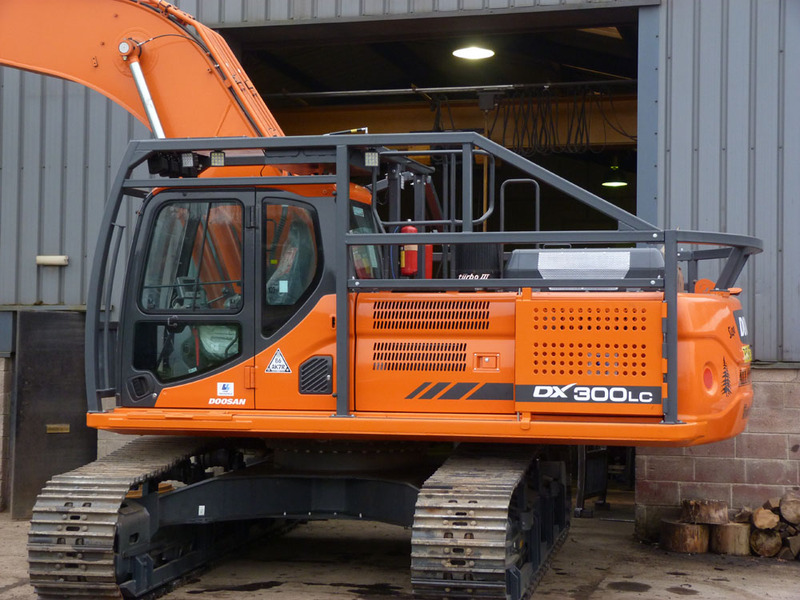 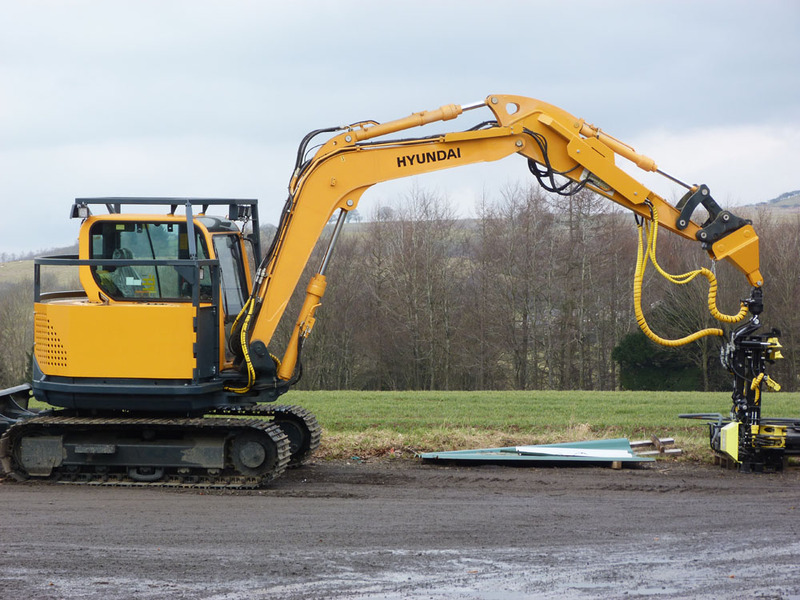 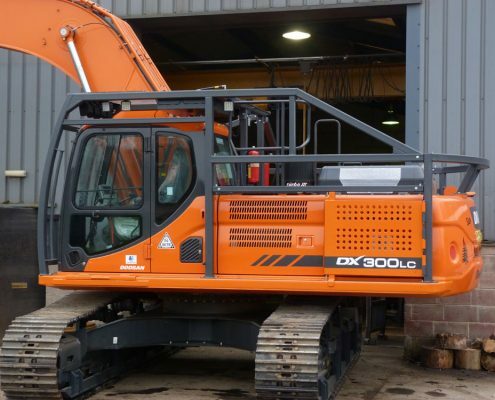 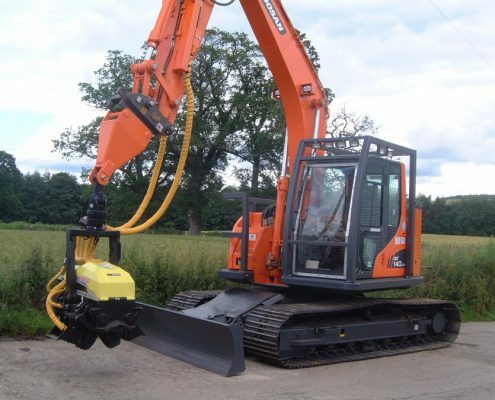 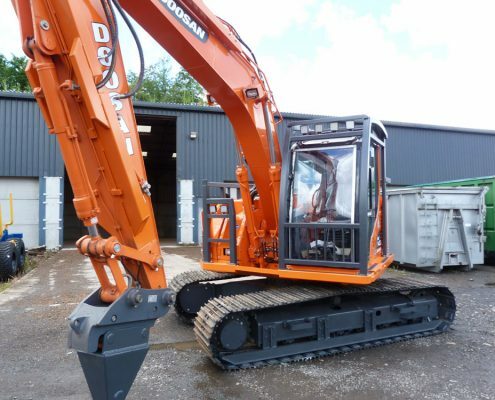 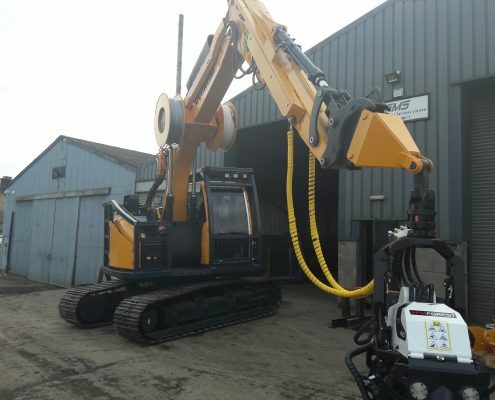 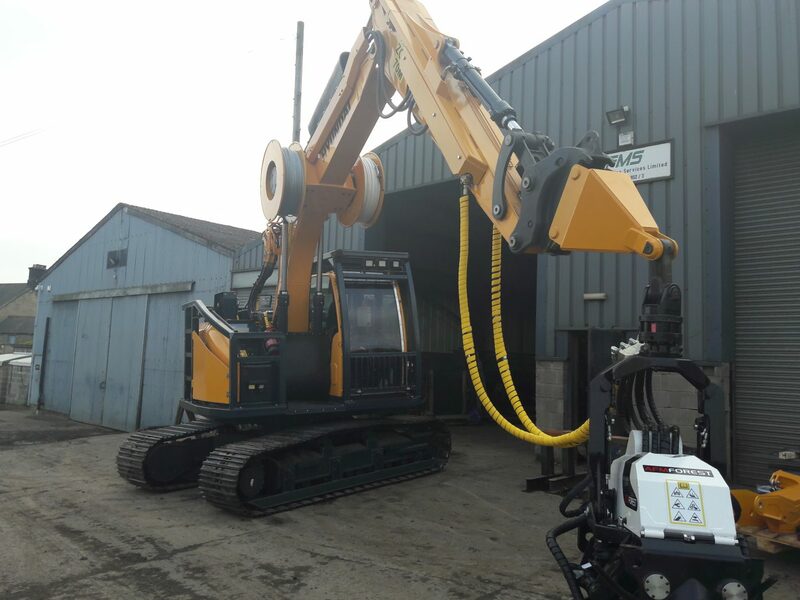 The machines are all individually built to the customers specification which ensures they get the right machine for the job. 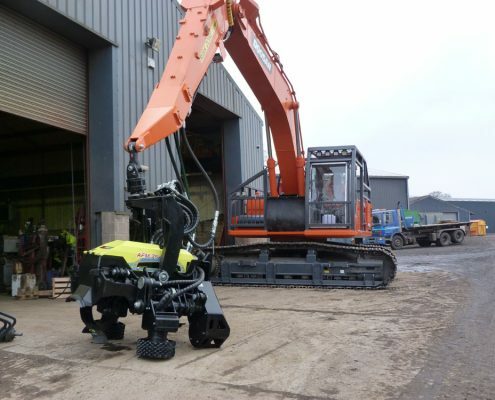 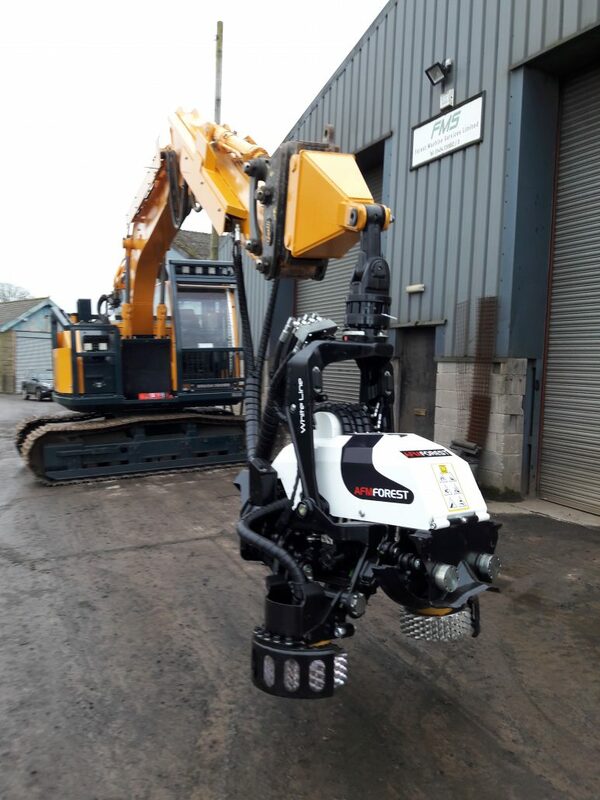 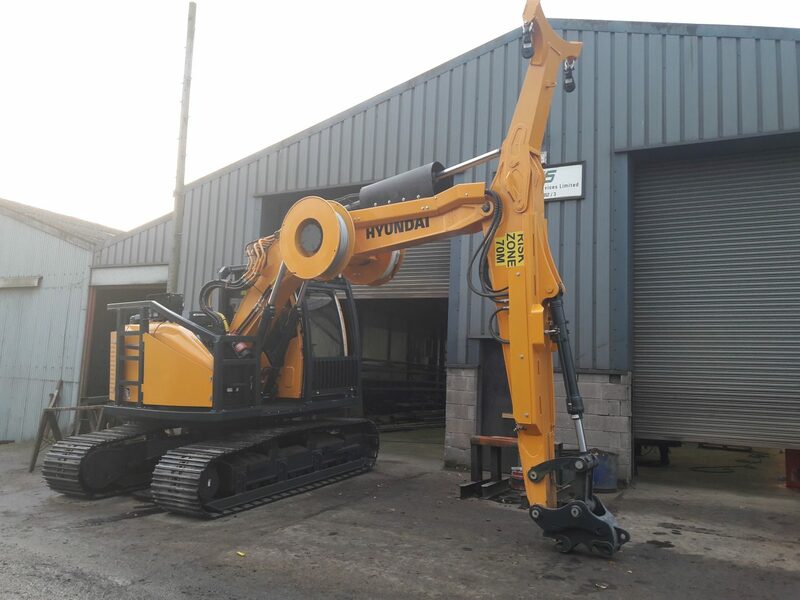 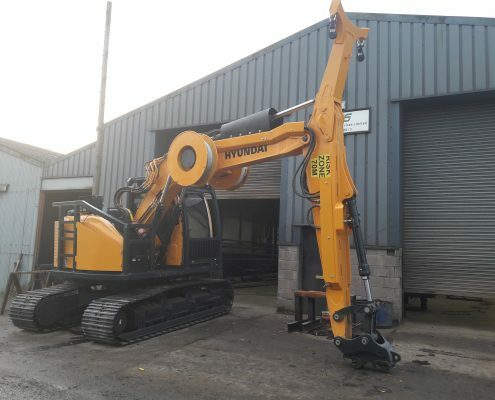 Most machines leave the workshop with a full guarding package and the head fitted ready to go to work whereas others may go out with head fitted & no guarding or fully guarded with no head. 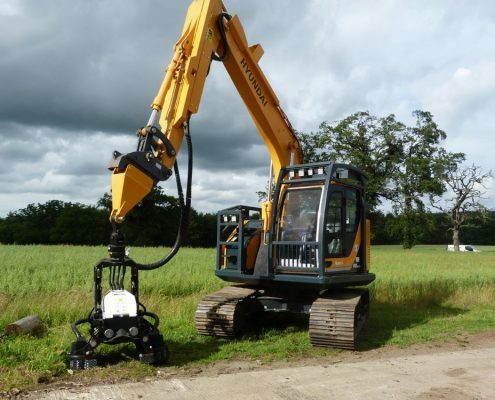 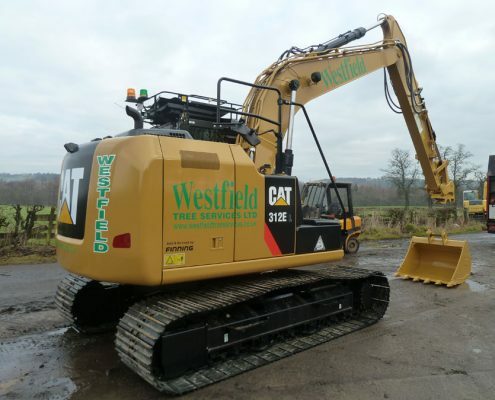 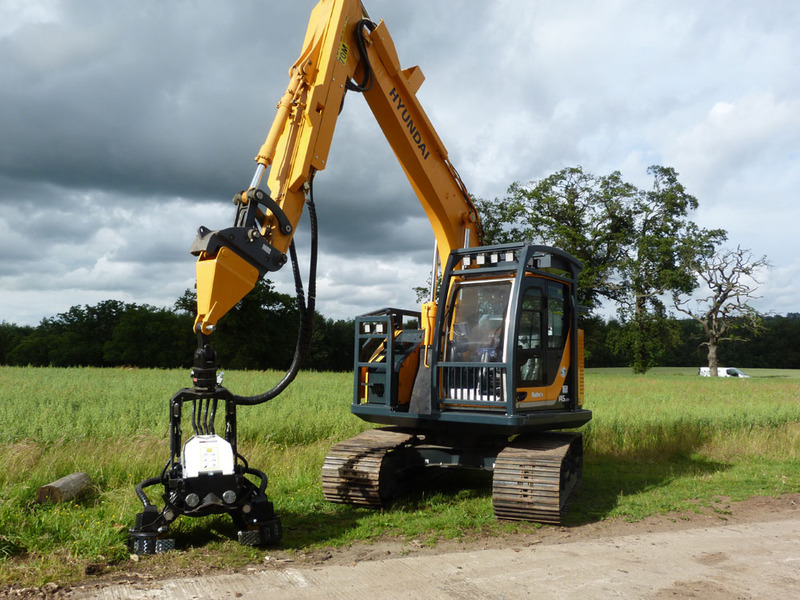 We have fitted heads to machines from 6T to 30T and everything in between, we can advise you on the most suitable machine for your work and are happy to visit the worksite to assess the crop and help make a decision. 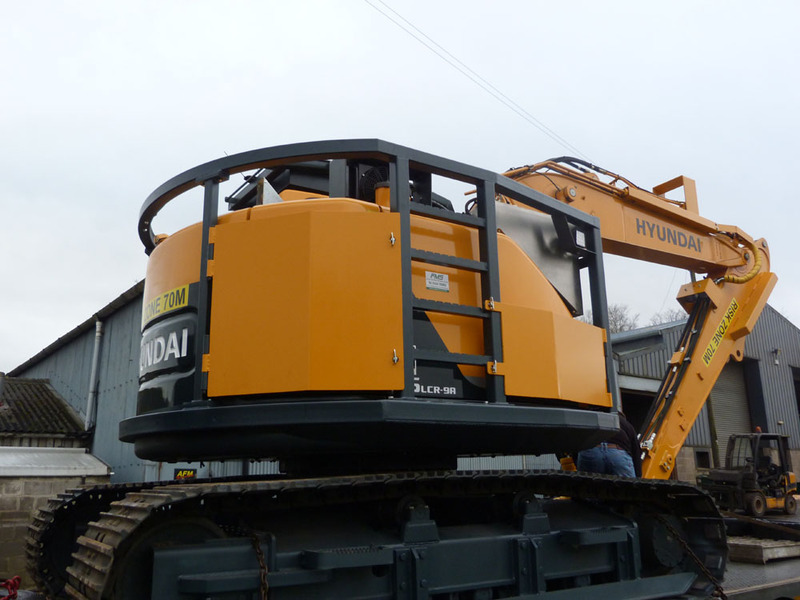 Please have a look through the photo gallery to see some of the 50+ machines we have built. 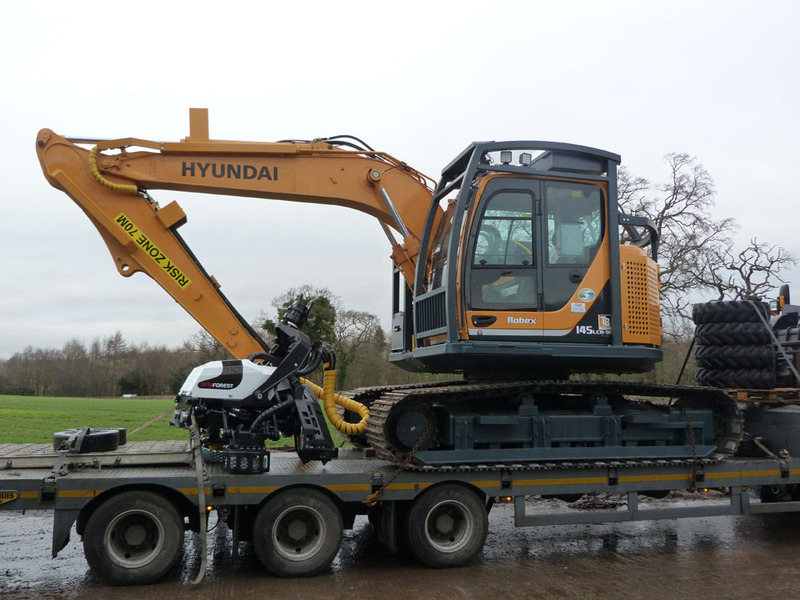 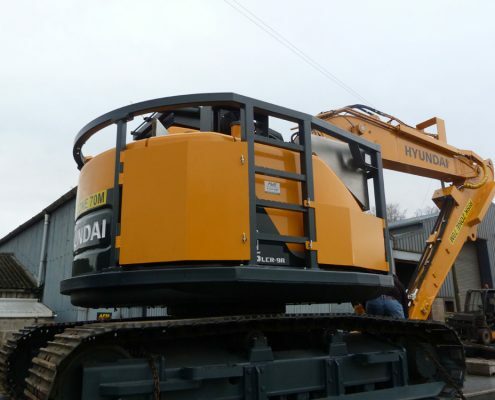 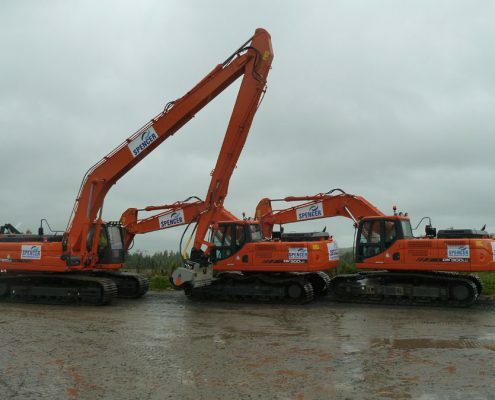 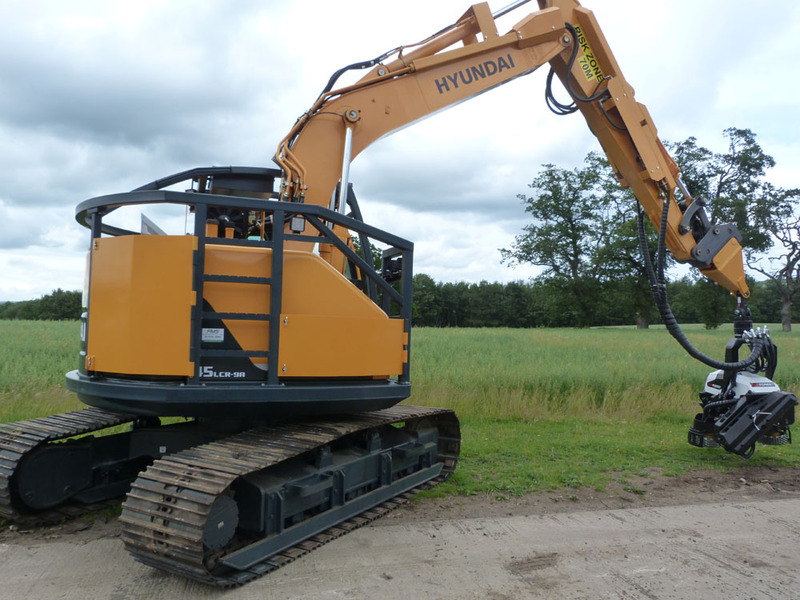 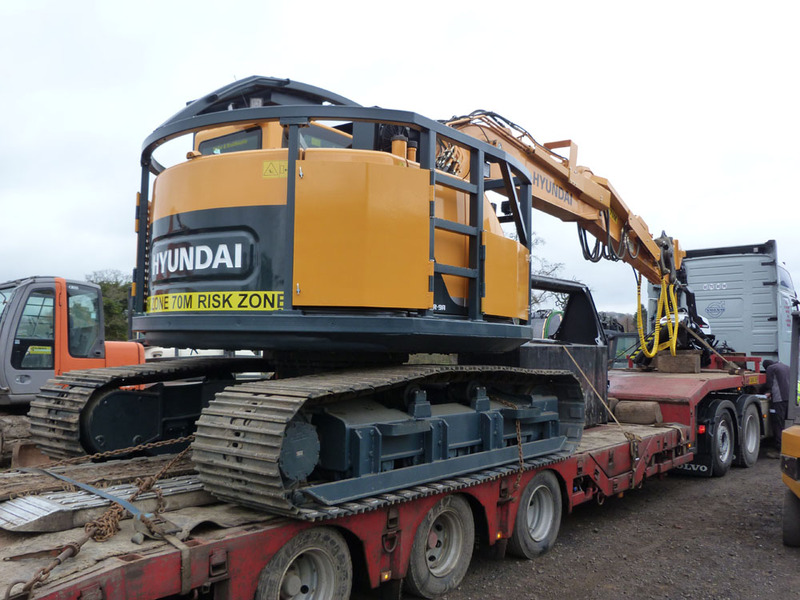 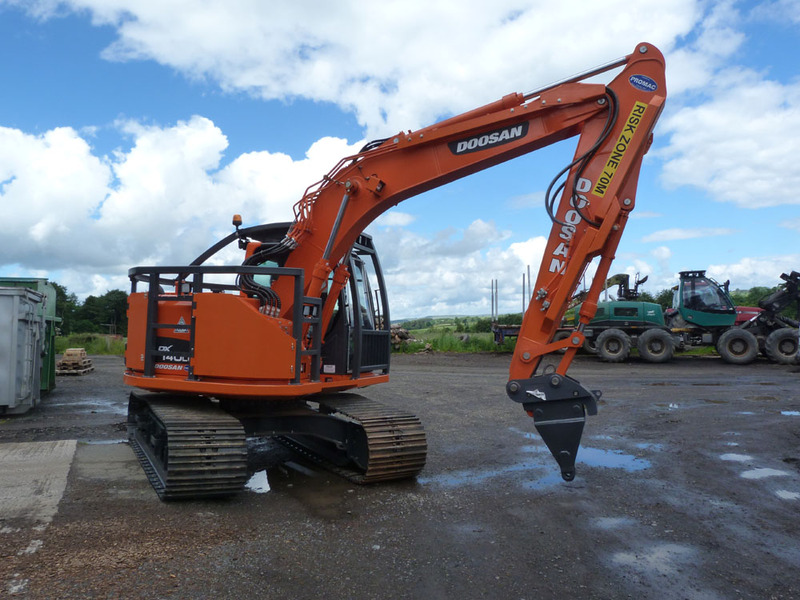 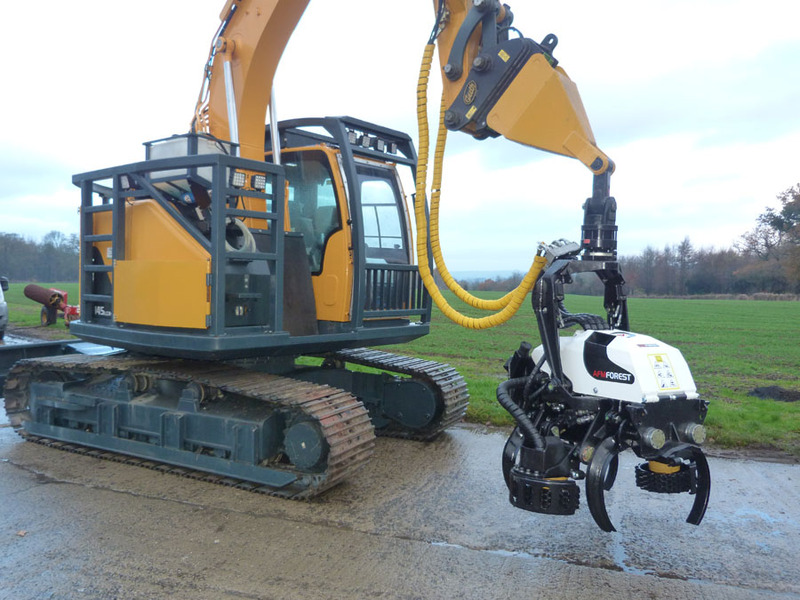 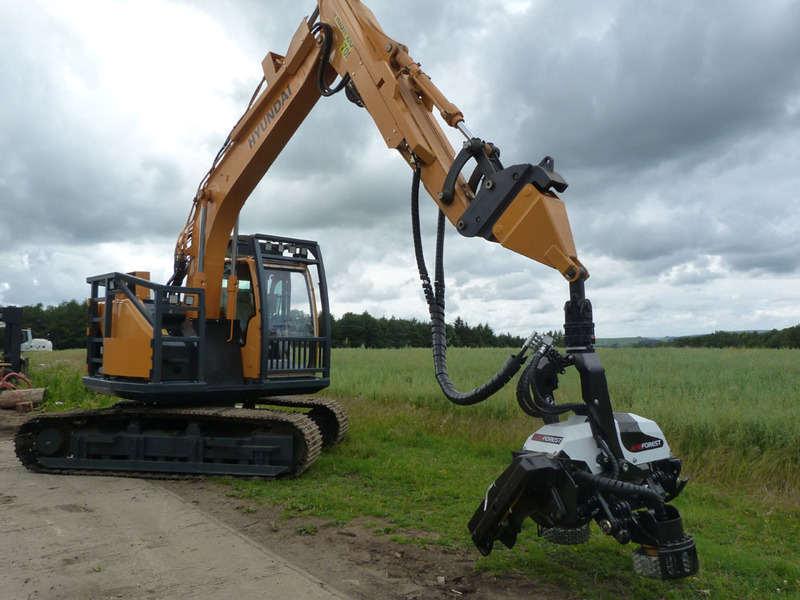 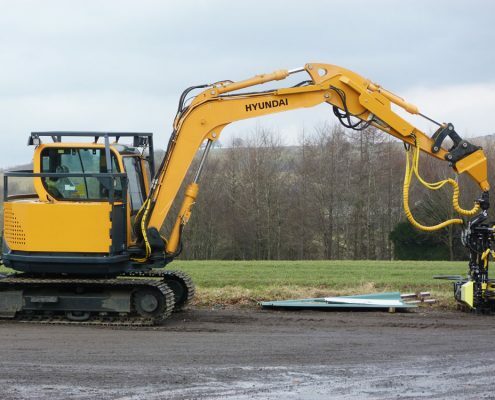 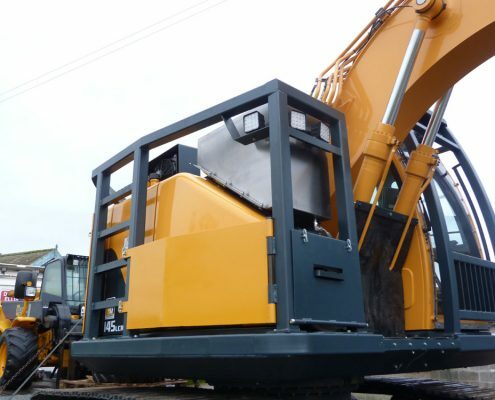 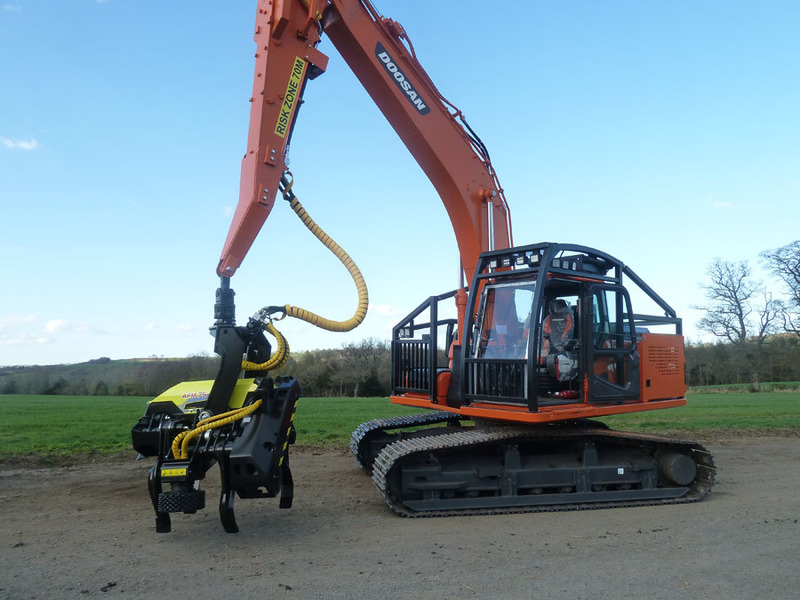 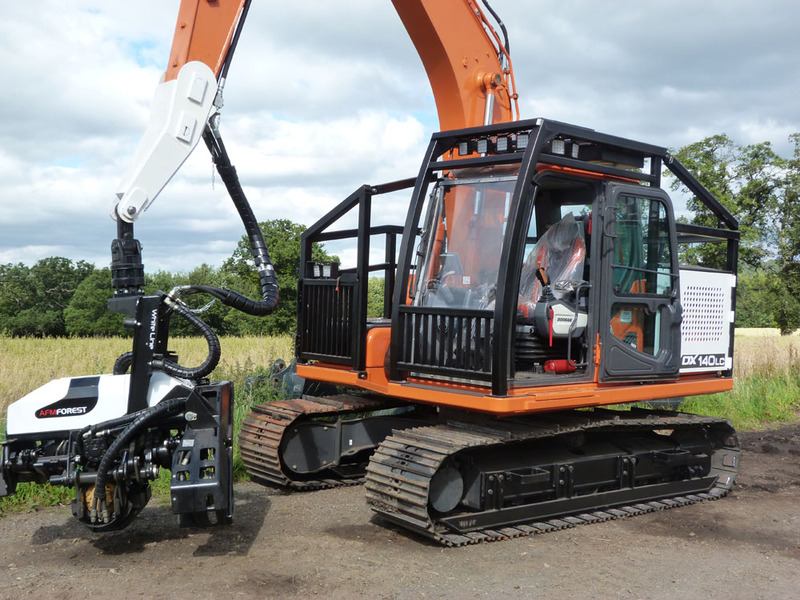 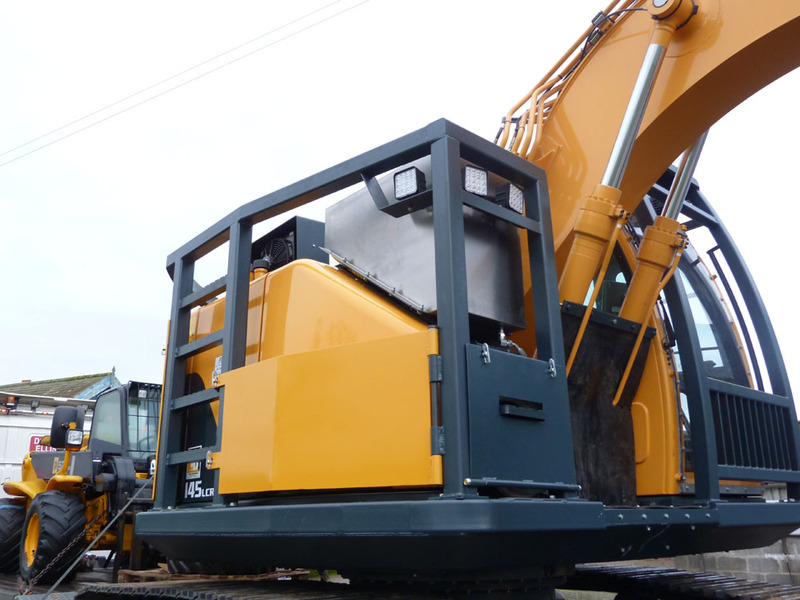 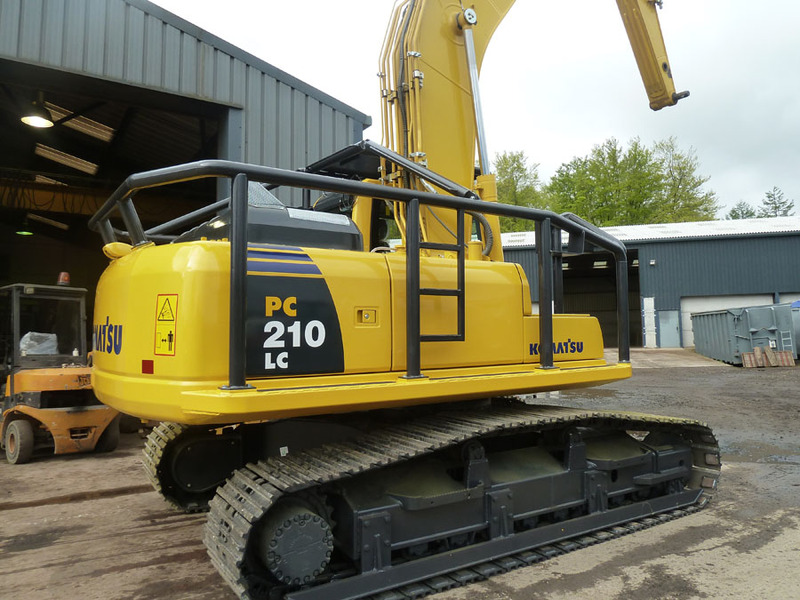 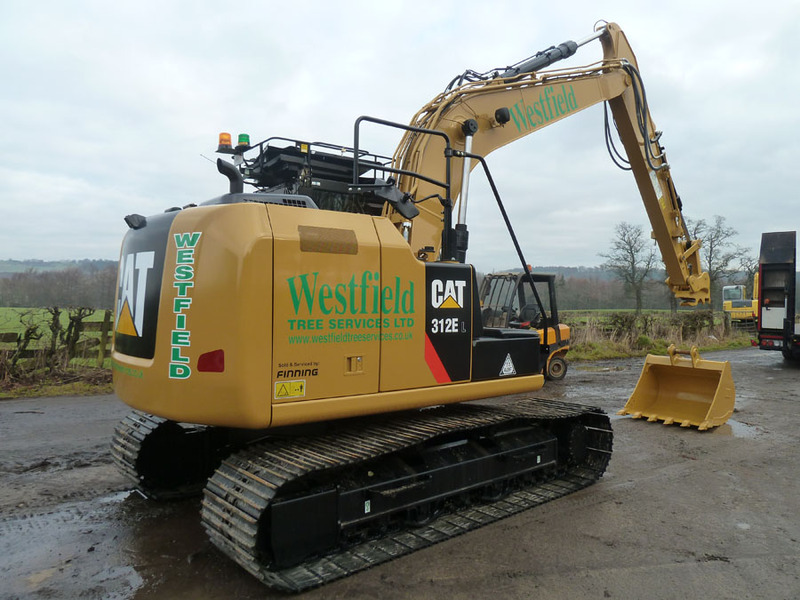 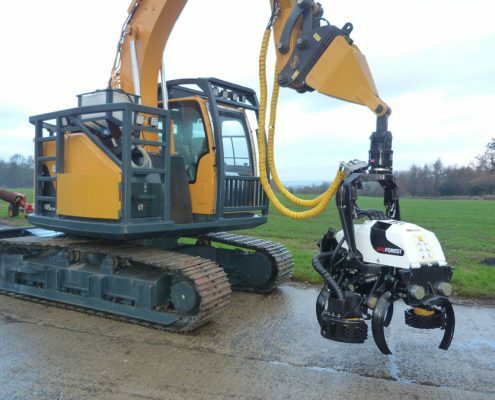 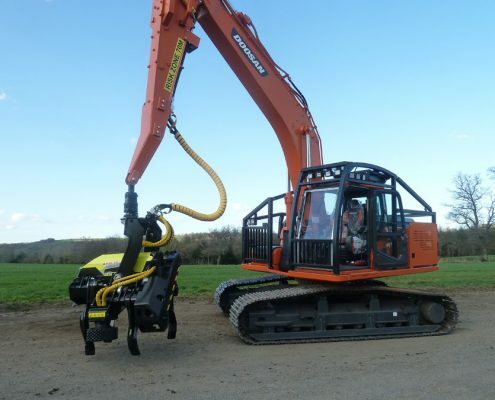 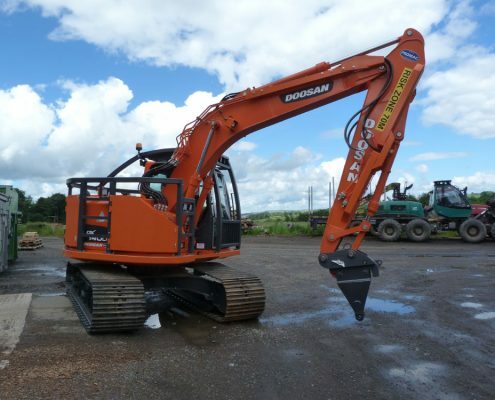 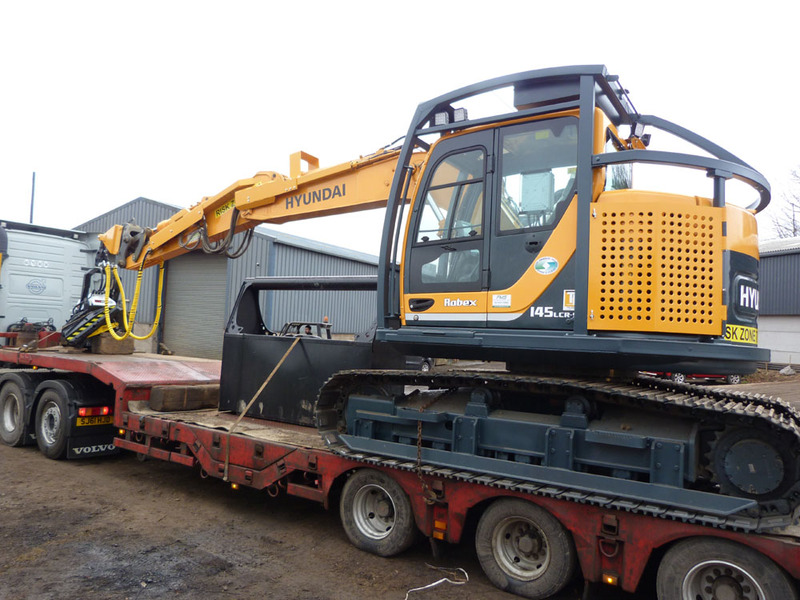 We hope our choice of machines interests and offers the opportunity to take both our businesses forward. 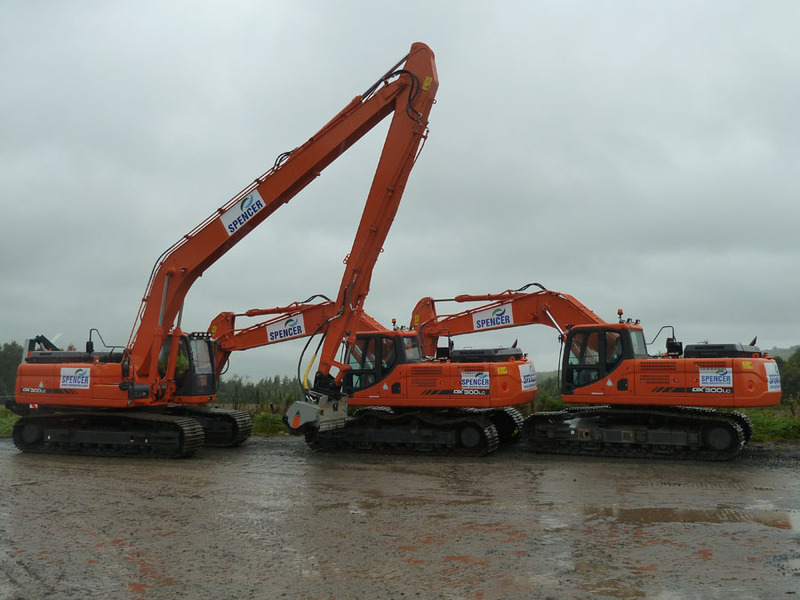 Please contact us if you have any queries. 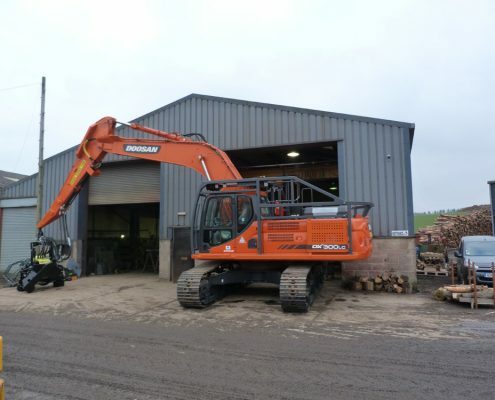 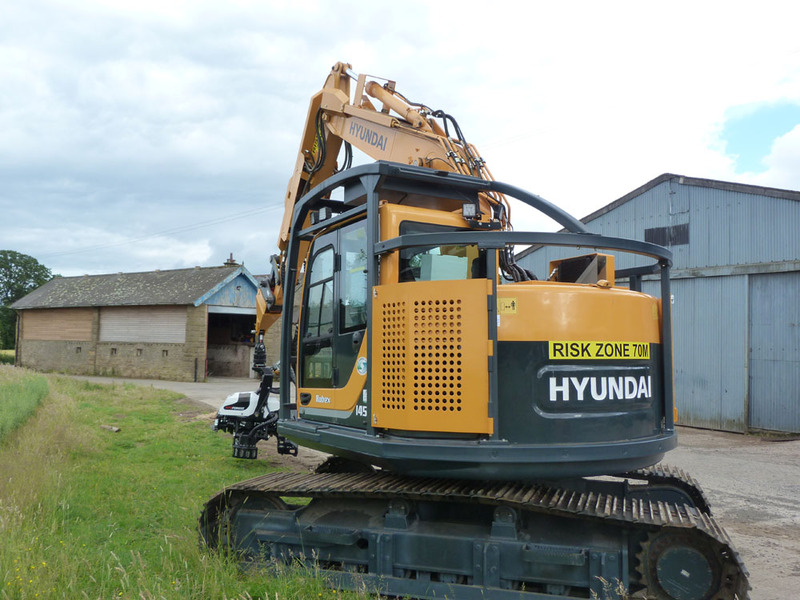 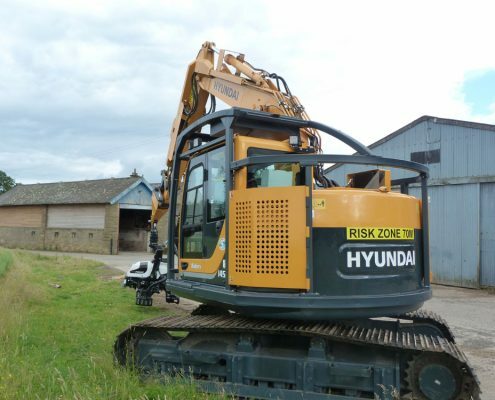 We are a sales and service company owned by Graham Johnston and Stephen Wills based near Hexham Northumberland. 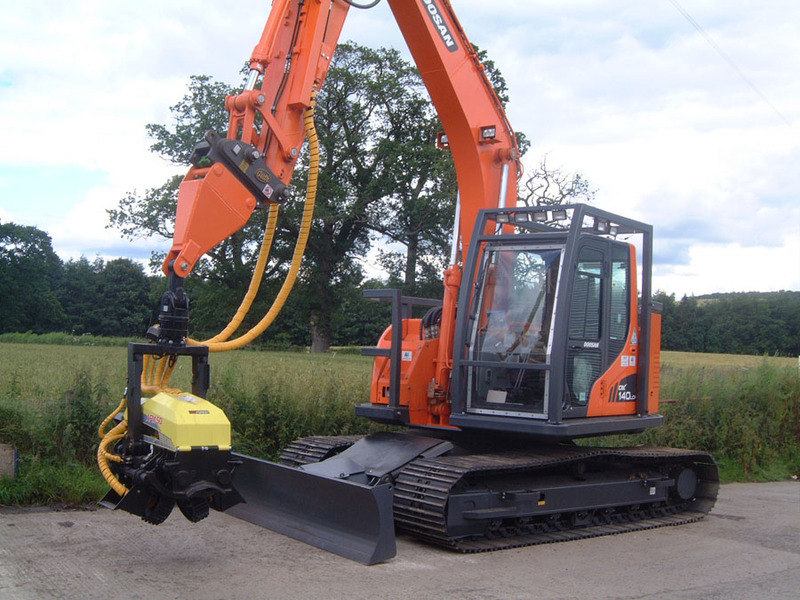 Being independent from the manufacturer allows us to select which machines we sell and promote.